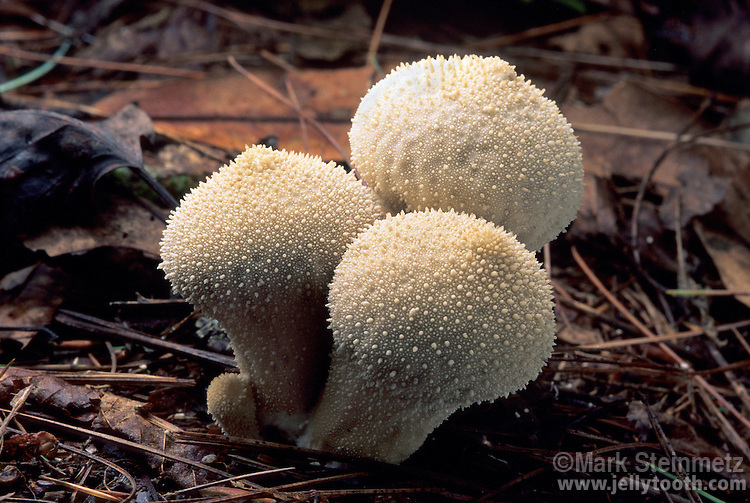 Gem-studded Puffball (Lycoperdon perlatum). Edible when immature and still white inside. Widely distributed in North America. Great Smoky Mountains National Park, North Carolina, USA.